High school football is one of the best ways for young adults to learn about teamwork and sportsman spirit, both of which help them grow, not only as good professionals, but also as good human beings. Like any other sport or game, discipline is one of the most important things in high school football, which is monitored by none other than the referee. A referee does not only maintain the discipline in the game, but also teaches the players how to behave like true sportsmen. 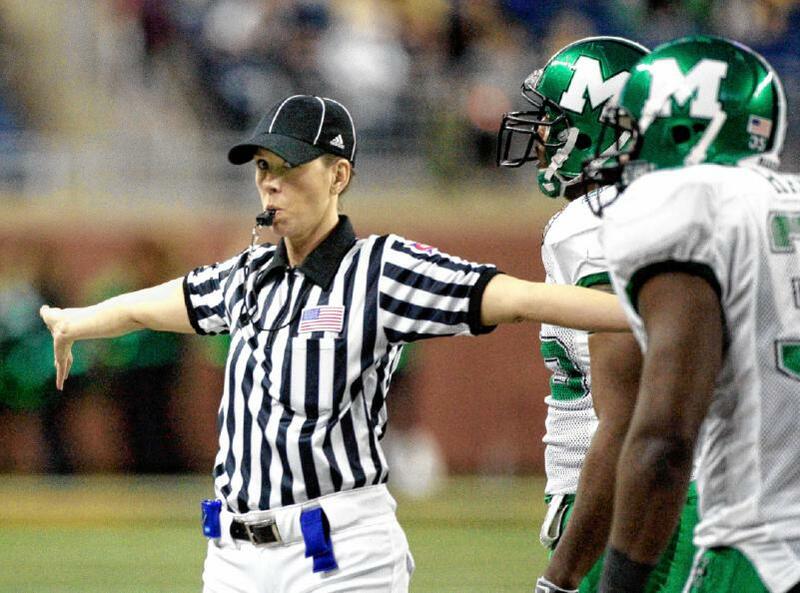 If you are looking forward to become a high school football referee, you will have to follow some basic guidelines. You must know that a referee’s job is not easy and you have to be physically and mentally very strong. Moreover, you must be very familiar with the environment on a football field. Therefore, you must run a few miles every day to remain physically and mentally strong. Moreover, it is extremely important for you to take a healthy diet to keep yourself fit. You must possess certain personality traits to become a good referee. You have to be calm, composed and tough to make the right decisions on the field within a moment's notice. You need to keep in mind that there is no room for any emotion on the football field and you have to take a decision according to the best of your abilities and knowledge without any kind of biasness towards any student. Football itself is not very easy, as there are a lot of rules and regulations which are meant to be followed by all the players. Therefore, you will have to learn about all the specific and general rules in order to become a good referee. You can easily get the information about the rules of the game from the internet. Furthermore, you can also join any vocational football training centre so as to get the necessary information about the sport. Once you feel you know enough to be a referee, you should apply at youth clubs for work. It is a good way to start your career. Although, it is lower level of refereeing, it will provide you with some good experience, which will eventually help you in the future. After gaining valuable experience, you can start applying at high schools and hopefully you will get appointed eventually if you have a good record and qualifications.